Sometimes it's a good thing I don't have a large backyard. Otherwise I would be even more obsessed with scoring an airstream. 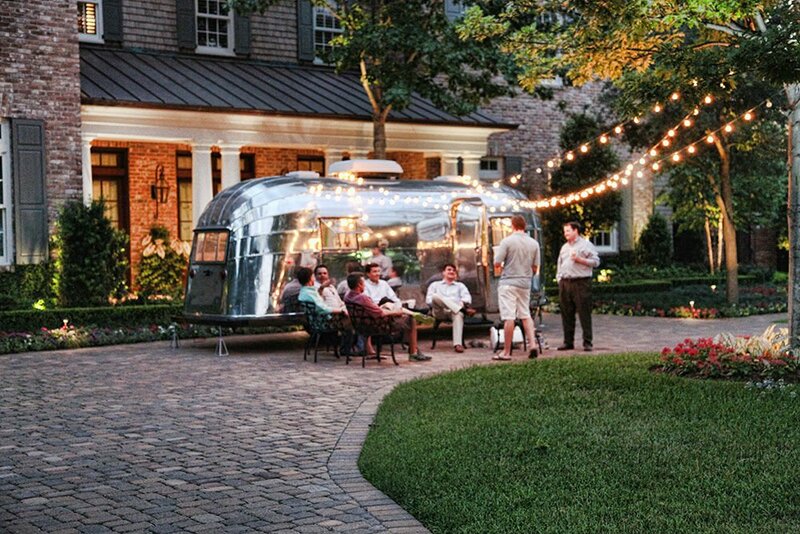 I have no interest in camping but using an airstream as an outdoor bar or patio anchor is pretty fabulous. I know, I know. I'm late to the party. But you'll have to excuse this city girl who knows nothing of these metal boxes on wheels. I didn't realize you could roll an entire extra room on your property! Granted, my backyard is too small to roll anything onto but I can dream right?? 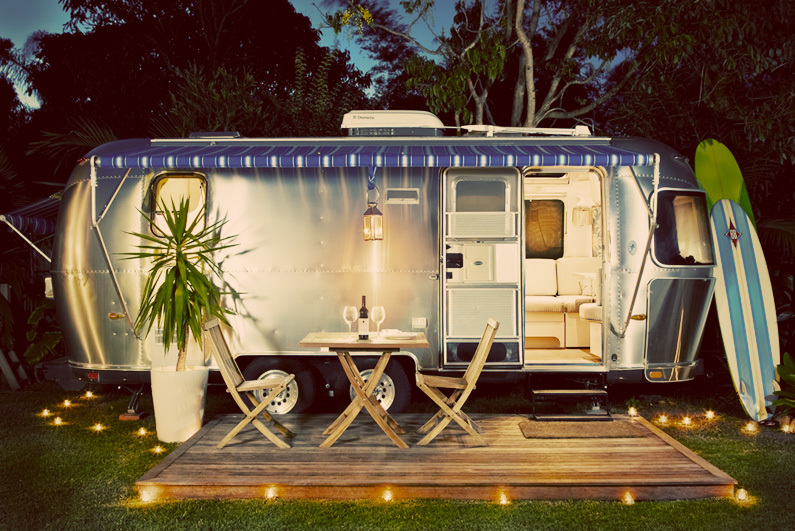 So without the ability to obsess about actually owning an airstream, I've added vacationing in one to my bucket list. Notice I didn't say camping. Autocamp seems pretty amazing. As does this Airbnb. Anyone have one? Does it get musty/hot in there? We don't have an airstream, but I just finished renovating our travel trailer LAST NIGHT. 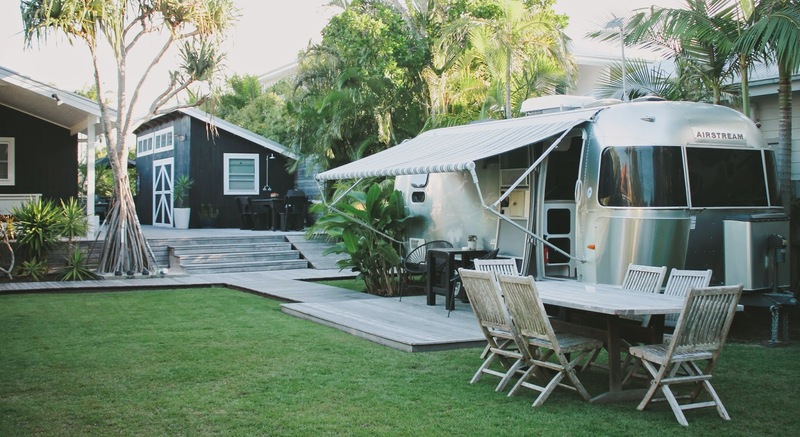 We're currently looking for a small airstream to use as an office -- these are great inspiration. Does it get overheated in there? Or is there a solution to good airflow? 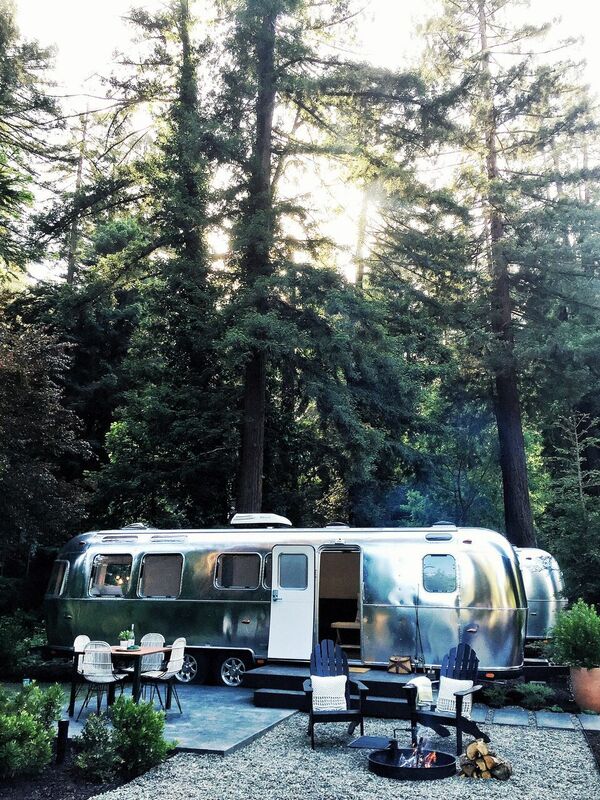 When I was making a career transition (from opera singer to director) I LIVED in an Airstream for about 3 years! It was an adjustment, for sure, but I really loved those days. The small space forced me to keep things simple. I live in Houston, Texas, so yes it did get hot, but it did not take long to air-condition such a small space! It's like a tiny house, that moves! If I found a used one for cheaper, I would totally try and convince my husband to buy it. I've looked into the Autocamp! But I think for sleeping in one, I would want to pay less per night...as pretty as they are! Here in the UK I always gasp if I see one "on the road", I love the shape and the material. There is one based in the south west somewhere which has been completely stripped out and decorated Art Deco style as a cocktail bar (turns up at shows). I do have enough room for one, but sadly, not enough money!